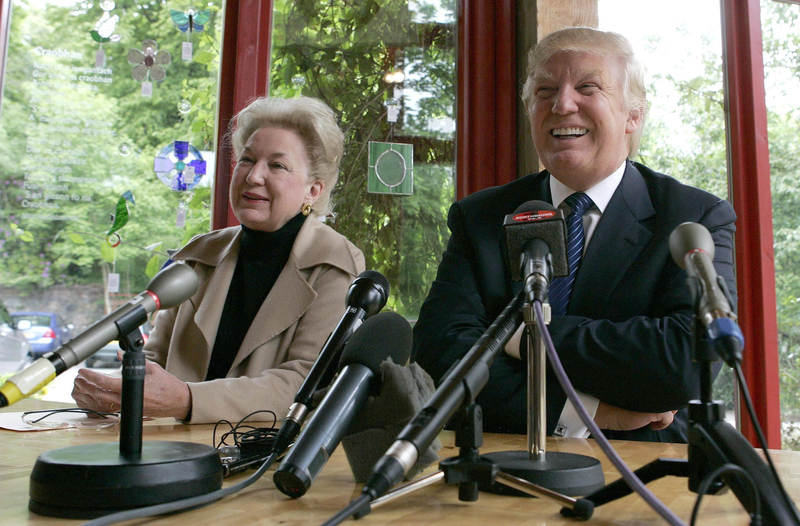 A donation of £158,000 from the sister of multimillionaire businessman Donald Trump to a Western Isles care home will help tackled bed-blocking waiting lists, a councillors has said. Maryanne Trump Barry, 78, made the gift to Bethesda Care home in Stornoway in memory of her mother Mary Anne Macleod Trump who grew up on Lewis. The donation will be added to £200,000 of support from the Scottish Government, which will go towards nine new beds at the home. Councillor Uisdean Robertson, chairman of the health and social care committee, said: “This is good news for older people and their families, in providing more bed spaces which will help address the delayed discharge waiting list. Ms Trump, a senior circuit judge of the United States Court of Appeals for the Third Circuit, was unavailable for comment. But her businessman brother Donald said the donation was “incredibly kind”. He said: “My sister and the entire Trump family loves Scotland and the area in which my mother was born. She goes back to the Isle of Lewis often and my mother went every year during her lifetime, taking her daughters with her. “Maryanne is a very successful federal judge at the court of appeals level, she is highly respected and a product of Scotland. Carol Somerville, Bethesda’s general manager, added: “Since the completion of the extensive refurbishment and extension of the nursing home, completed in 2010, the Bethesda trustees have fought to secure the capital and revenue funding to complete the upper floor of the nursing home, to provide an additional nine nursing home beds.